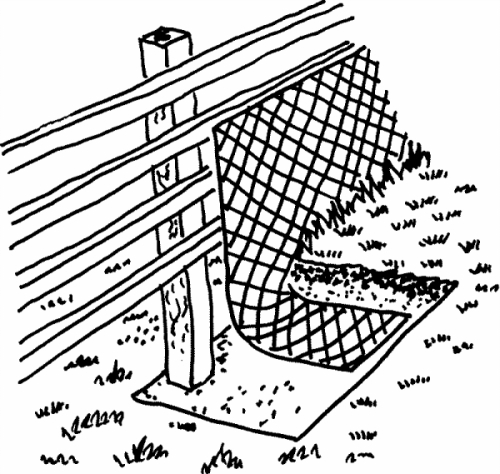 Note that the badger-resistant fencing is sunk deep into the ground, and is bent back in the direction from which the badgers will try to dig. The fence needs to go underground because the badgers will easily dig a hole under the fence if the mesh simply rests on the ground. You also need to use a tennis-court-type netting. The sort of netting used to contain rabbits and chickens is not strong enough. The fence may even need to be folded back to form a wide over-hang if badgers are very determined.